If you see me walking . . . So this reminds me of the Aretha Franklin song, Walk On By. Absolutely no reference whatsoever, but it brings me to this: How the hell does an inmate walk away from Folsom prison? I’d love to ask Marco A. Cabrera who did just that on Sunday, April 15. Fortunately, police nabbed him less than 24 hours later, but are you kidding me? How does one escape from the city of Gray Granite? In 1903, 13 prisoners escaped, using the Warden and other guards as human shields. At the time, the prison wasn’t surrounded by walls. So that, I understand. 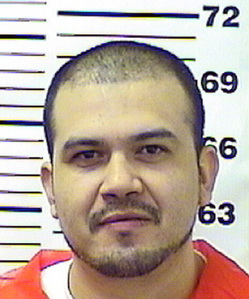 But so far, police haven’t figured out exactly how Cabrera “walked away” from the medium security prison, but they found him hiding in the bed of a truck Monday evening. The poor guy had “injuries from blackberry bushes.” Gosh, that sure makes up for his “assault with a firearm and injury to spouse” conviction. A true gent, this one. Really though, how does one escape from Folsom prison? At least we know this: 98.7% of escapees since 1977 have been caught. How does that make you feel? Categories: Prison Today | Tags: escape, escapee, Folsom, Folsom Prison, Marco A. Cabrera, medium security | Permalink. Crazy…I’ll stay tuned for more of this story! I believe that is Dionne Warwicks song. Maybe Aretha had an original I am unfamiliar with? But the well known version is definitely Dionne Warwick. I learn something new every day!! Thanks April!! And I assumed it was an Aretha song, so I learned something new, too!